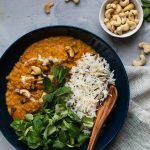 I started a poll on Instagram and the result was clear – you want the recipe for my lentil curry and you get it! 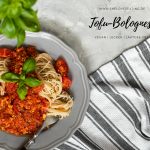 The main ingredient are red lentils and I simply love them. This curry is easy and quick to make, always tastes good and even tastes better the next day so it is perfect for any kind of mealprep as well. Any kind of curry belongs to my comfort-foods. 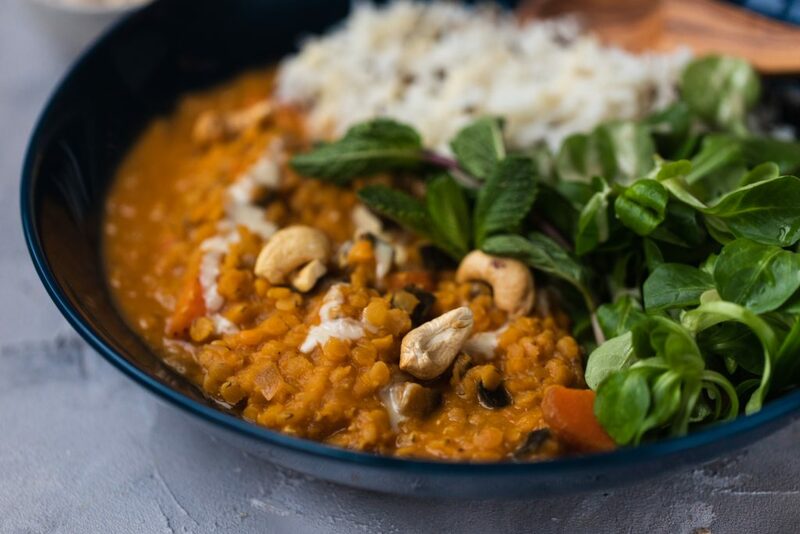 Especially in the colder seasons there is nothing better than a warming lentil curry and it tastes even better served with rice. For this dish, I used a basmati and wild rice mixture which was perfect. 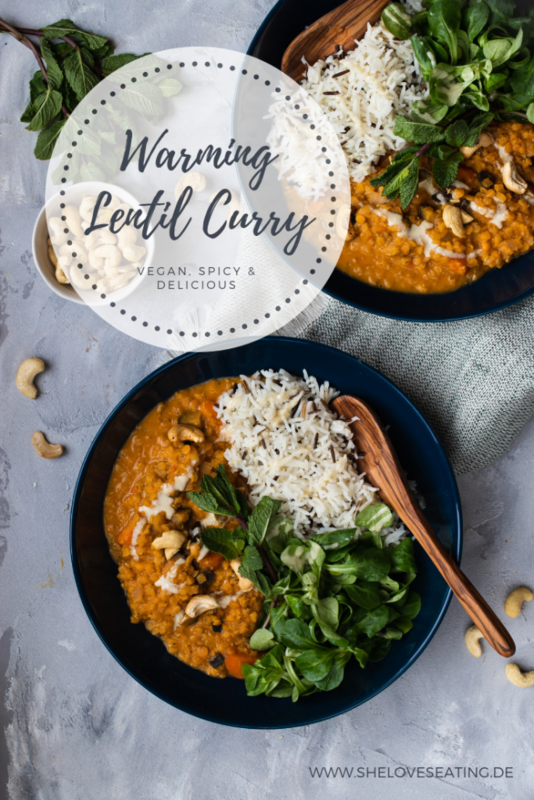 Due to the coconut milk the curry gets a very creamy and smooth consistency and the red lentils only need to cook for about 10-15 minutes. Other types of lentils usually take longer and some of them even need to be soaked overnight before cooking them. In the Indian cuisine curries are very typical e.g. lentil-dhal. I love Indian food and if I had to choose one cuisine for the rest of my life it would probably be Indian. The recipe is inspired by the lentil dhals I always eat in Indian restaurants. 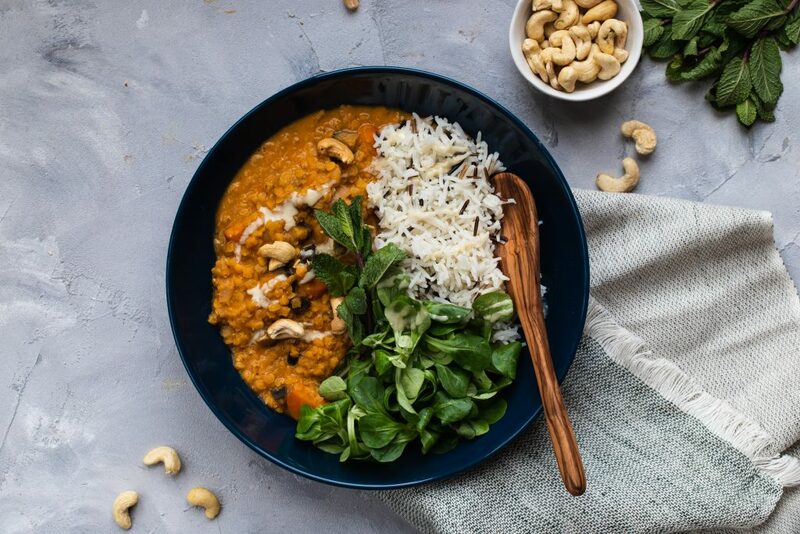 Those of you who know a little about the ayurvedic cuisine will know, that lentils and legumes in general play a big role here. Dishes with lentils are Vata increasing and Kapha and Pitta decreasing (the three Doshas are Vata, Kapha and Pitta). 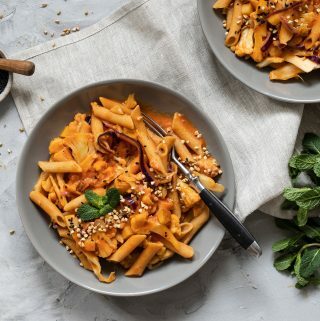 I know a lot of people who try to stay away from legumes because they want to avoid bloating. That is a pitty because legumes are so healthy for you! 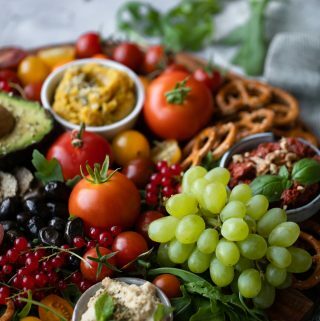 A very easy and effective tip to avoid bloating when eating legumes is the following: mix 1 tbs apple cider vinegar with some water and drink it before eating. This helps the digestion and prevents bloating. 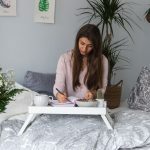 If you like this recipe, I bet you also like my lentil-chickpea-stew so make sure to give it a try! Cook the rice according to the description on the packaging. Wash the lentils in a sieve with hot water. Cut onion, garlic and ginger into small cubes and quickly fry in the coconut oil. Add curry, cumin and tomato paste. Give it a stir, then add the lentils and fry for a minute. Before it burns, add the hot water and the veggie stock. Now cut the eggplant and the carrot into cubes and add them in the pot. Let cook at medium heat for about 10-15 minutes. Then pour in the coconut milk and cook for another 5 minutes. 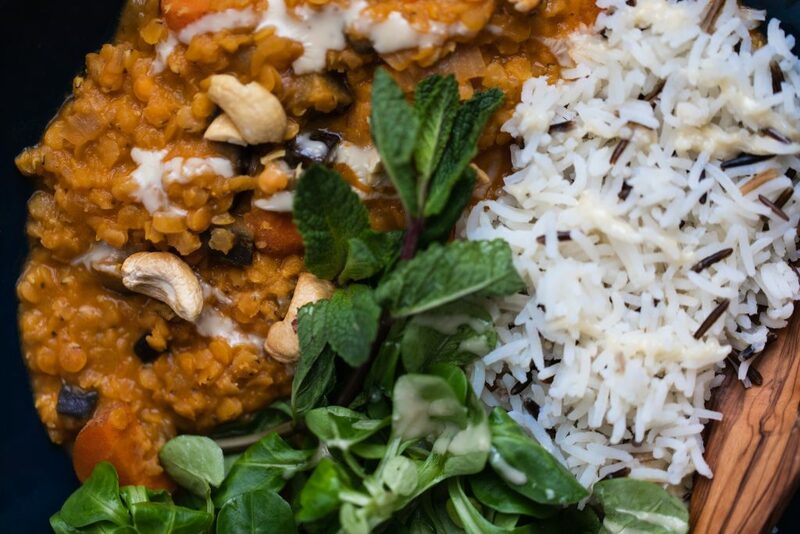 Serve the finished lentil curry with rice, cashews and mint.